We have effectively places ourselves as a renowned name engaged in providing a wide range of Himalaya Pain Balm. These are available in different forms that meet on medical industry requirements. 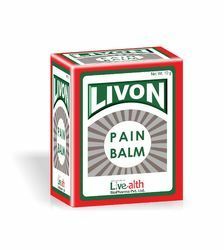 Monison's Pain balm is one of the oldest ayurvedic pain balm of India and is original and authentic green balm for Cold, Headache and Joint Pains. We are an eminent firm of a comprehensive assortment of Cold And Headache Reliever. Liquid Balm is used externally it provides quick relief from Arthritis Enrich with Almond oil & Shallaki– Joint pain, low Back ache, Headache, Muscular pain, Tennis elbow, Neck Pain, nasal congestion, Cold etc. sprains & strains. We are devoted towards offering the qualitative range of Tiger Balm, as per client’s precise need and requirements. Enriched with Indian winter green, contains no petroleum jelly. Natural non sticky aloe vera cream base. 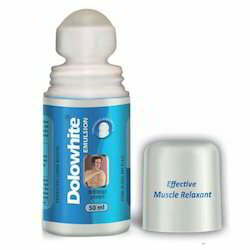 Quick relief from joints pain & inflammation Back ache, strains, maoists, Fibrosis's sciatica. Herbal RELAX HEAT RUB is an effective house-hold remedy for Quick Relief from bruises, Arthritis, sciatica, rheumatic pains, Back, Neck, Shoulder, Knee, Ankle, Lumbago, Fibrositis, Chiblains, Joints and Muscular Pains etc. Herbal RELAX HEAT RUB eases pain where it hurts!